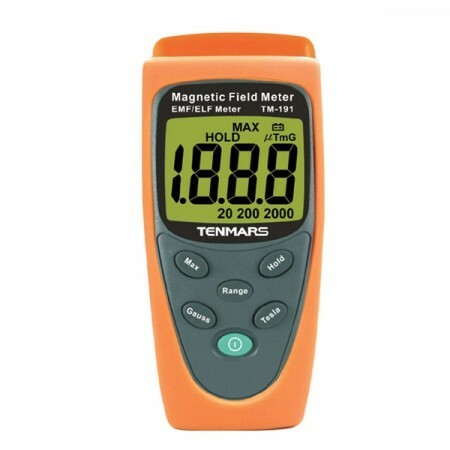 It displays boyh maximum and minimum readings and can hold any reading. 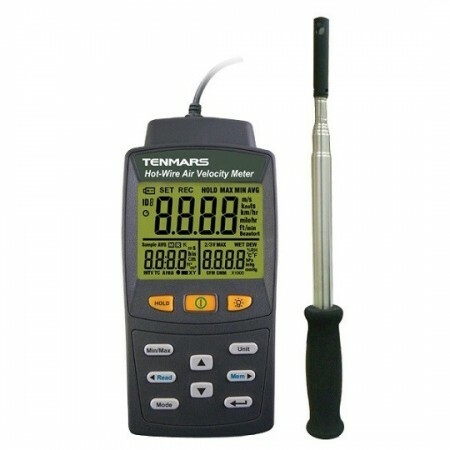 The Tenmars TM-4002 hot wire anemometer is used to undertake measurements of air velocity and air temperature / humidity in spaces where the vane anemometer cannot be used, typically in HVAC ducts.and vents. 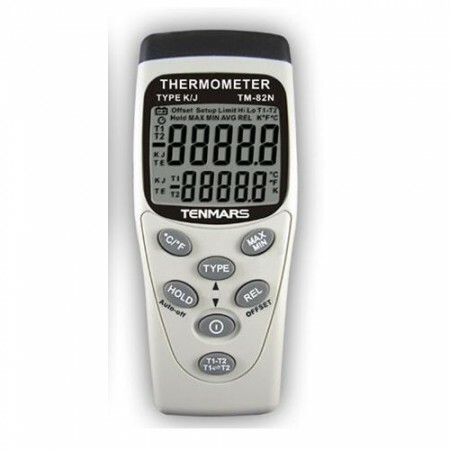 The TM-4002 has a triple LCD display which shows both air speed and temperature plus a backlight to make the display easy to read in dimly lit areas. This instrument can calculate both air velocity, and air volume and with it’s wide array of features is designed to make testing simple and fast. 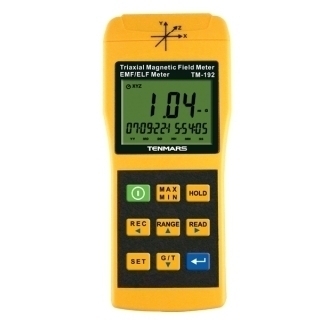 The TM-4002 hot wire anemometer lends itself to many applications, including air balancing, fire matrix testing, paint booths, ventilation systems, and environmental testing. The probe is housed within a telescopic device for access to hard to reach areas. Combination of hot wire and standard thermistor delivers rapid and precise measurements. Recalls MAX / MIN / AVG readings in real time or with data hold. Microprocessor circuit for maximum accuracy, provides special functions and features. 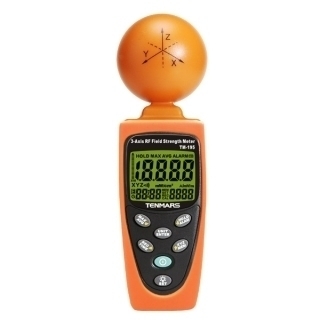 Portable anemometer provides fast accurate readings with digital readability. Multi function for airflow measurement: m/s, km/h, ft/min, MPH, knots, Beaufort and temperature (°C or °F), plus humidity and dewpoint. Fast Response Probe using Platinum Sensors. Memory for up to 99 records.